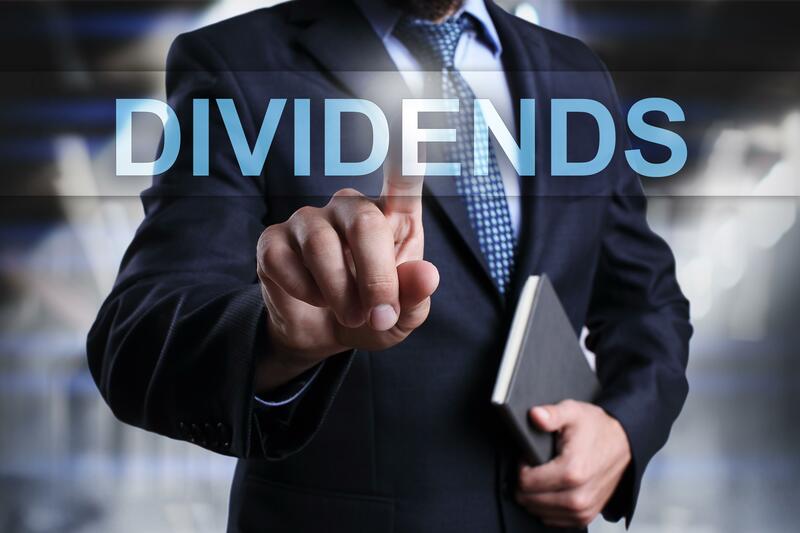 (1) Dividends help determine a company's financial health and true value. (2) Dividends let investors share in a company's prosperity by paying them a portion of today's earnings. (3) Dividends represent a strong portion of the market's total return. (1) Company has a sufficient dividend yield with no implication of risk to the payout. (2) Strong company with solid fundamentals that generates outsize economic profits. (3) Share price is trending up. (4) Company covers its dividend with alot of free cash flow from operations less all capital spending. (5) Large amounts of net cash on the balance sheet that can be used as reserves in case it encounters trouble. (6) Company is undervalued on the basis of a discounted cash flow process and relative valuation as well. (7) Firm's management has strong willingness to keep paying an increasing dividend, as measured by its dividend track record. The idea of a solid Dividend Cushion Ratio™ (measure of the safety and growth potential of the dividend). Please feel free to request our white paper on our equity investment process! Our income process uses our independent research to find the most compelling income ideas using mutual funds and exchange traded funds in addition to our risk adjusted models. RCM also recommends private real estate, annuities and other alternative investments that look to dampen market volatility and offer solid income solutions. *Investments are subject to risk, including the loss of principal. Some investments are not suitable for all investors, and there is no guarantee that any investing goal will be met. Past performance is no guarantee of future results.